With the growing popularity of Crossfit and functional training we saw the need to bring in a range of wall balls. 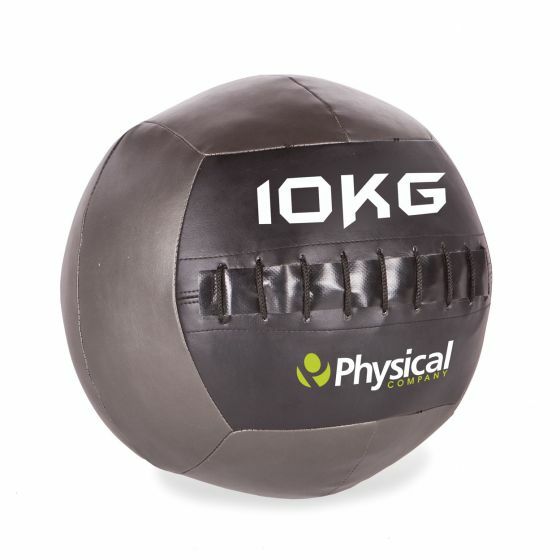 The 10kg wall ball can be used to develop strength and power and has a tough outer coating to stand up to being thrown against a wall or flat target. User's can launch the ball from a deep squat up to a target or against a wall and catch it as it returns. Our PVC covered 10kg wall balls have been designed to be tough and soft at the same time, whilst maintaining the perfect diameter for biomechanically correct throws. Press, jump, throw, squat, deadlift, lunge, climb and clean the wall balls and really get your heart rate pumping. Available in weights from 1-10kg. With the growing demand for crossfit training and the wide spread use of medicine balls, saw the evolution of Wall balls. Whilst maintaining the perfect diameter for biomechanically correct throws. Press, jump, throw, squat, deadlift, lunge, climb and clean the Wall Balls and really get your heart rate pumping. Not suitable for slamming exercises.